This coming Monday, July 13, at 6:30 p.m., everyone is invited to the site of Graton’s new park for a kick-off celebration. Gather on the Edison Street side at the community garden and join the Hubbub Club in a joyful strut around the property. There will be speakers, the park sign will be installed, and snacks will be provided by Mexico Lindo and Bambu Tea House. Come learn about the plans for the park and how you can be involved. 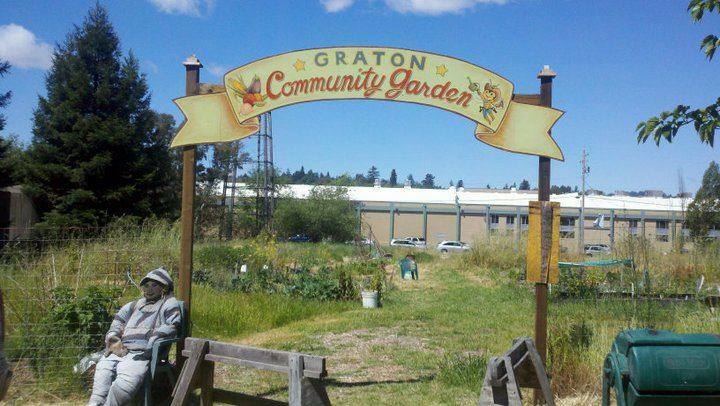 The Graton Green Group needs donations of both time and money to fulfill this wonderful opportunity for a permanent usable open space in downtown Graton. 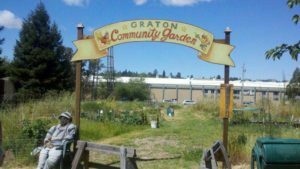 Tax deductible donations can be made anytime, checks payable to the Graton Green Group, P.O. Box 858, Graton, CA. 95444.